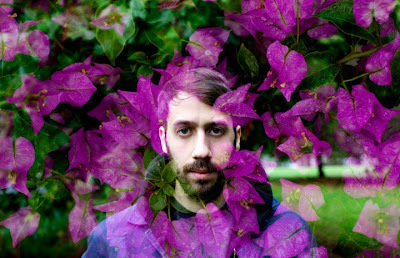 In the years since his first full-length album, the UK's Gold Panda has continued to bless us with a sprinkling of complex recordings overflowing with cut up ambient samples, all of it meticulously cobbled together with electronic glue. While the EPs, limited edition vinyl releases, and a storied DJ-Kicks comp have been pleasant, the real magic happens when Derwin Panda takes the stage to recreate all of his layers live. Crafting goosebump-worthy grooves, you'll lose yourself in the chilled, earthy beats as he casually puts the musical pieces of his mosaic together in front of your eyes and ears. Almost rivaling the main act's complexity and texture, Ghostly International labelmate Dauwd precedes Derwin with his slightly more conventional sound while PDX DJ Tan't spins before (as well as during and after, I'm sure). Listen to the title cut from Gold Panda's latest release, the 2013 EP entitled Trust, which is the first full EP he's released since before his widely acclaimed 2010 debut—and rejoice in the news that there's supposedly a second full length coming later this year. 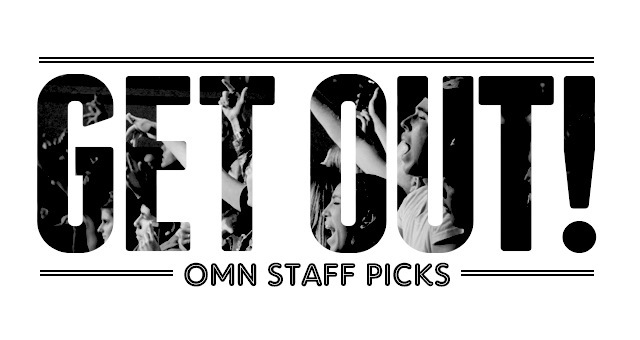 Get the rest of OMN's Get Out! picks for March 21-27. Three months after opening their NW Portland kitchen and lounge, Sepal Meacham and Josh Johnson received a certified letter from Austin, Texas. It contained a strongly worded cease and desist letter from a Moonshine Patio Bar & Grill located in the heart of Stumptown’s unofficial sister city, asking the two burgeoning bar owners to “dissolve our business immediately,” Meacham explains. “We were shocked and surprised,” she adds. After talks with the Austin restaurant failed, Meacham and Johnson decided it was best to change their name and appended Balls the Cat’s to the original name of Moonshine Kitchen & Lounge. 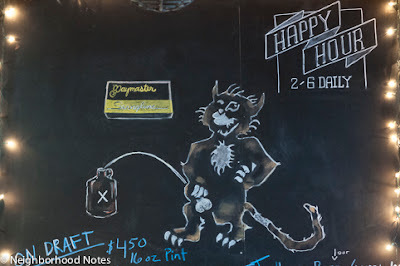 The image of Balls—the cat with the moonshine jug—became their official mascot, although his presence had been a part of their branding since the beginning. “We need to succumb to their demands or go to court,” Meacham says, feeling a little bit at a loss. Or, change the name of the bar, which is something the pair is considering. Find out what led Meacham and Johnson to change the name of their bar to Paymaster Lounge and how you can avoid this problem on Neighborhood Notes. 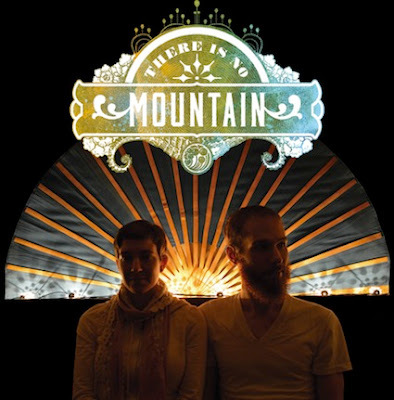 There Is No Mountain is Kali Giaritta and Matt Harmon, formerly of The Ascetic Junkies. The Ascetic Junkies are no more. The band has been pared down to two, featuring founding Junkies and husband-and-wife duo Matt Harmon and Kali Giaritta in multi-instrumental roles where "I now play percussion and keys in addition to singing, and Matt added in a few carefully chosen effects pedals to bring in some new sounds," Kali says. Now, there is only There Is No Mountain. Kali and Matt decided to relaunch under a new name chiefly because "our style has changed pretty far away from the AJs stuff, and also, no one in this great country seems to know the word 'ascetic,'" Matt jokes. The debut song from There Is No Mountain is "one of the first tracks we've recorded just as a duo in a long time," Matt explains. "It's an African highlife-tinged pop song built around vocals, simple percussion and distorted acoustic guitar." There's a familiarity in "Owl Hymn" that's definitely reminiscent of The Ascetic Junkies but also a freshness to the pared down track. Full of stop-and-go buoyancy, the song is as lively as ever but engagingly different with its malleable rhythms—it's a new sound from recognizable voices. Change is in the air and the signs are becoming noticeable around town—the days are longer, green grass is sprouting, colorful crocuses are beginning to poke through damp dirt, and a few blue skies and fluffy, white clouds are occasionally pushing gray, rainy days aside. This all means spring is beckoning—which also means it’s time for you to get outside, clean up what winter left behind, and start checking projects off your to-do list. 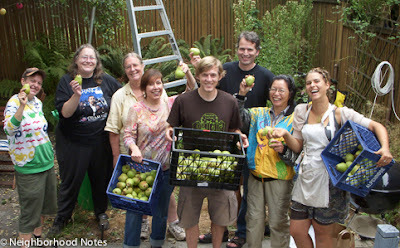 Completing these tasks doesn’t have to be costly, and although you can find all the home and garden supplies you need at Portland’s locally owned alternatives to Home Depot, there are also plenty of shared community resources and educational opportunities right in your own backyard. So as spring approaches, utilize the following resources to affordably tackle your home and garden projects as most simply require a bit of your own time and sweat but provide an opportunity to make connections with your neighbors. With four tool libraries throughout the metro area, Portlanders can borrow a myriad of tools with options ranging from basic hand and power tools, to ladders and gardening tools, to specialty equipment for advanced activities like carpentry and woodworking or tiling and plumbing—if you’re feeling ambitious, that is. Each volunteer-run library offers tools to local residents, 18 and over, for free. Find the complete list of tool libraries as well as six more affordable, community resources to help you with your spring home and garden projects on Neighborhood Notes.